A MAJOR question about publication of the latest edition of Fijian Studies dealing with “media and democracy” (the cover actually says, incorrectly, development) is why did it take so long to surface in public? It took a year for the November 2008 edition to be published and launched in a Suva restaurant. 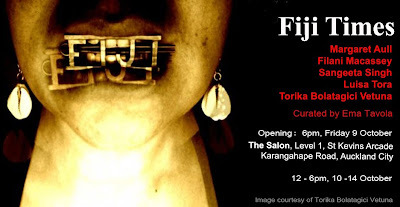 Nervousness about how the authoritarian post-coup 4.5 Fiji regime might react? Where does a publication like this fit into the state censorship in Bainimarama’s Fiji? Perhaps the publisher, Fiji Institute of Technology director and series editor of the Fiji Institute of Applied Studies, Dr Ganesh Chand, considered the political climate had stabilised sufficiently to publish this without too much reaction. Fair enough. 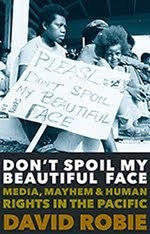 There was barely a ripple in media – or state – circles, and hardly any newspapers engaged with this thought-provoking book. A pity. There is a wealth of valuable information packed into the 297-page volume by more than a score of authors, mostly journalists, media academics and political scientists. 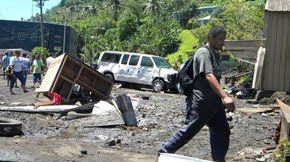 Debate about some of the content would have been ideal before the Fiji Media Council independent review in February – and should have been available before the reviewers delivered their report (which unfortunately became redundant after the Easter putsch). It would have even been more useful for the regime too to have had access to this research before donning the newsroom jackboots. However, a big bouquet for the publishers and editors in having the initiative and courage to go ahead with such an important volume at this time. It will be a very useful resource. As well as the wide-ranging introduction by the editors themselves - head of journalism Shailendra Singh and economics professor Biman Prasad at the University of the South Pacific - most of the authors have provided important insights into the Fiji media, including the impact of digital media in a strained political environment. 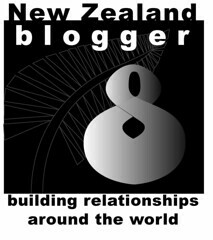 While the internet has the potential to empower citizens and communities in new ways that redefine governance, the susceptibility of bloggers to Fiji’s “coconut wireless” places this potential at risk. Like all media, bloggers tread specific ideological paths and are not necessarily straightforward propagators of the “truth”. Politics lecturer Dr Rae Nicholl of USP in research on media treatment of women in the 1987, 2000 and 2006 coups found that women were “almost entirely absent from the press following the 1987 coup but their presence increased following the 2000 coup and increased still further following the 2006 coup”. Susan Naisara Grey and professor of governance Graham Hassall, both also of USP, examined the print media’s coverage of the Office of the Auditor-General and concluded that news organisations are “not tracking issues raised in [auditor] reports, as they are considered – or not considered – by the relevant participating committees”. Only in a few instances, such as relating to the alleged misuse of funds within the Department of Agriculture, did the media provide sustained monitoring of an issue. The dependence of news media on information from official sources also may make reporters more reliant on research and analysis from those outside the media. As a result, news items tend to be reactive and the news media does not perform its watchdog function as effectively. 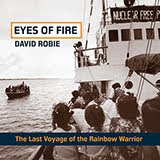 Café Pacific publisher Dr David Robie contributed two articles, one a research paper around media accountability systems, or M*A*S, and he contrasted the methodologies of the controversial 2007 “review” of the Fiji’s news media industry with a genuinely independent review of the NZ Press Council undertaken during the same time frame. The editors also published his controversial “Press and the putsch” paper from a decade ago for the first time in Fiji (it had previously been published in Australia). The coups from 1987 to 2006 have had a serious impact on the media in that journalists have been threatened and incarcerated by military regimes. This has led to the loss overseas of many experienced journalists. Standards have deteriorated for it takes time to train new people and give them the opportunity to gain experience. 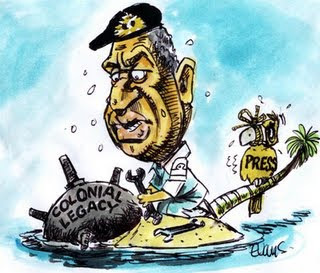 Cartoon: Voreqe Bainimarama and the media, by Malcolm Evans of Pacific Journalism Review.